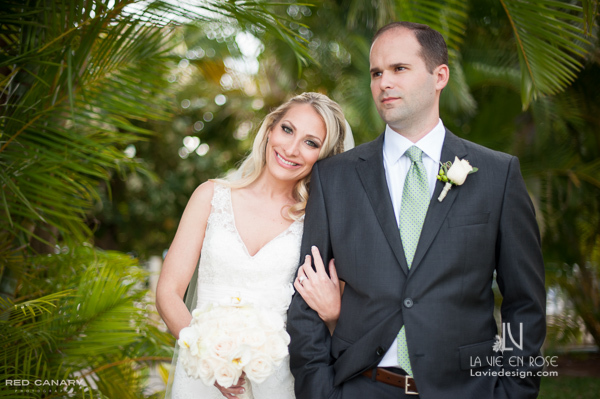 Robin and Daniel’s wedding at the Safety Harbor Resort and Spa took place in the courtyard garden of this lush, tropical venue. 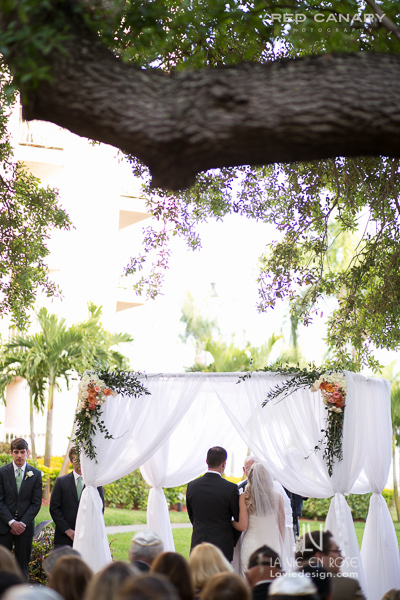 The weather was perfect for this outdoor ceremony, and as you can see, the bride and groom were pleased with how it turned out. 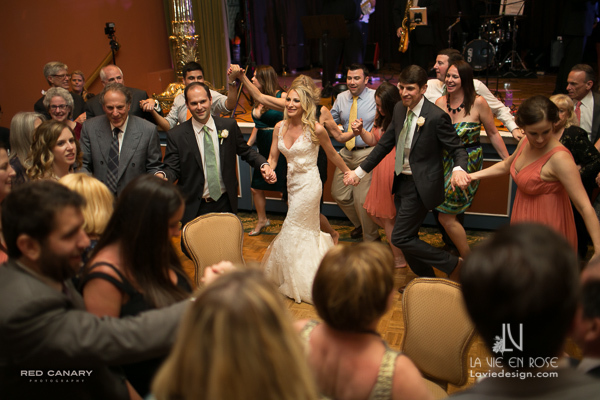 La Vie en Rose provided the Chuppah and draping, bridal party flowers, boutonnieres and corsages, ceremony and reception flower arrangements, and centerpieces. Take a look! 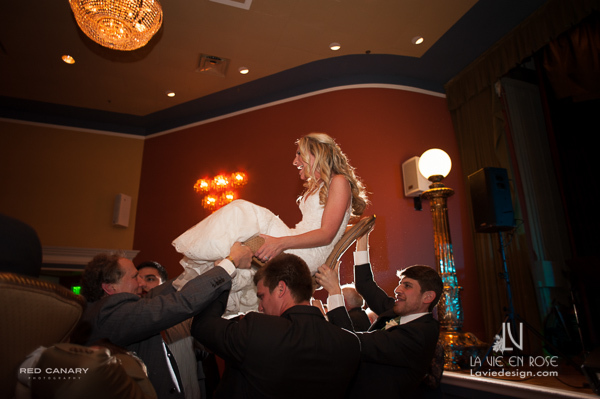 Thank you to Red Canary for the fantastic photos! White Vendela roses and Phalaenopsis orchids made up this simple but elegant bridal bouquet, with matching boutonniere for Daniel. 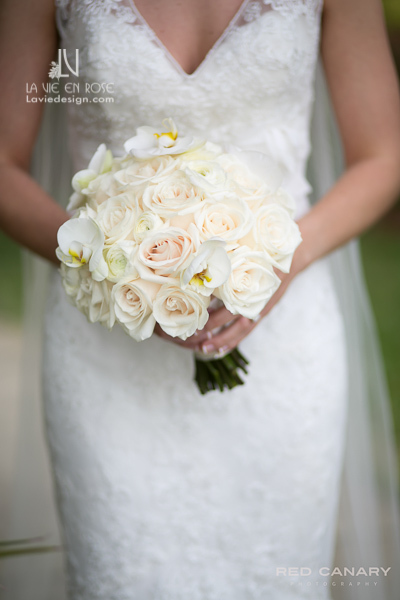 A closer look at the detail of this gorgeous bouquet! 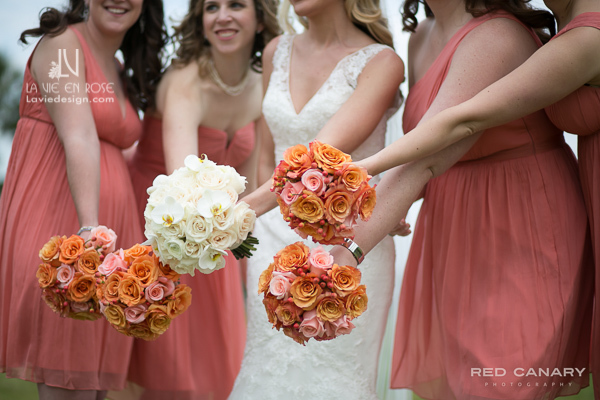 Bridal party bouquets were done with coral and peach roses, complimented by sprays of hypericum. 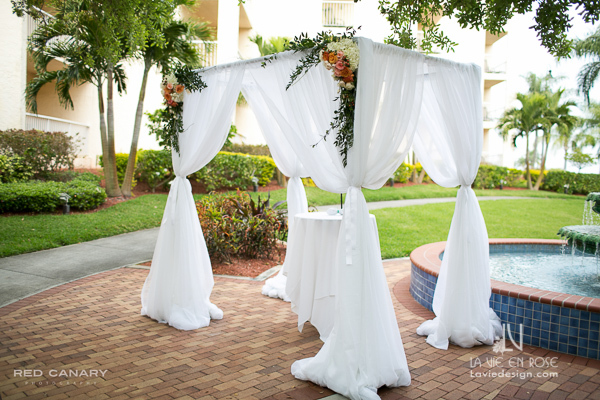 The draped the chuppah with white, sheer fabric and designed custom flower adornments to match the bridal party flowers. 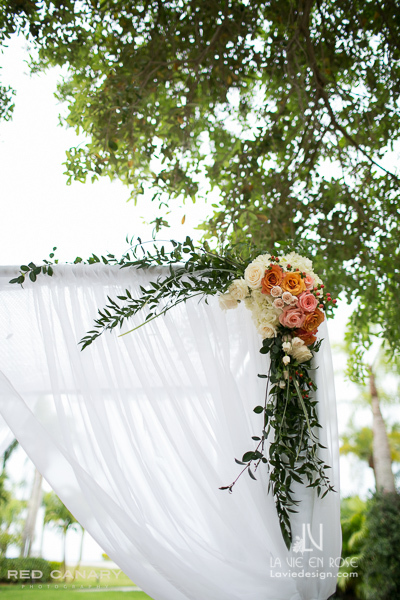 A closer look at the ceremony flowers reveals spray roses and again the coral and peach roses with hydrangea that stand out against a backing of Italian ruscus. 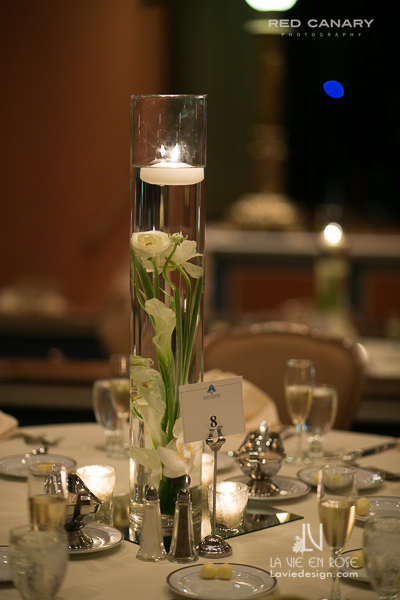 Submerged calla lily, renunculas, phalaenopsis orchid and lily grass were topped with a floating candle. Below you can see the surrounding mercury glass votives. All of these elements came together on top of a mirrored plate that illuminated the understated elegance of this centerpiece.